“Thumbelina” is one of the most cherished stories in the Rabbit Ears Storybook Classics series and is surely a classic in its own right. 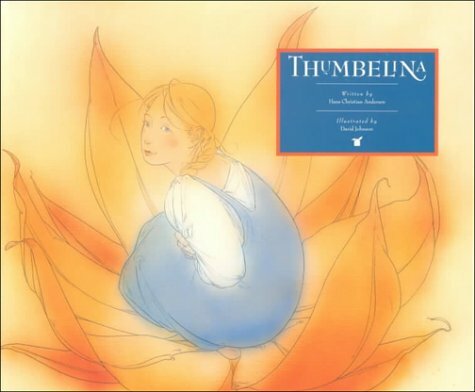 Kelly McGillis’ tender narration, along with Mark Isham’s memorizing music and David Johnson’s exquisite drawings, combine to make “Thumbelina” one of the tenderest stories in Rabbit Ears history. Kelly McGillis’ narration is extremely tender as she makes this story extremely touching and soothing to watch and she also greatly expresses Thumbelina’s sorrow of being married to the mole in a sorrowful tone which brought life to that scene. Another great aspect of Kelly McGillis’ narration is that she provides a wide variety of vocal talents like Robin Williams when she uses a high-pitched voice to voice the field mouse and a croaking voice when she voices the toad. Mark Isham’s music is extremely soothing and memorizing to listen to and the scene where Mark Isham’s music takes center stage is in the scene where Thumbelina finds the flower angels’ kingdom as Mark Isham accompanies this scene with soothing guitar sounds. David Johnson’s illustrations are extremely beautiful and light toned especially when he illustrates Thumbelina as an extremely beautiful girl with blond hair wrapped up in a braided ponytail and who wears a blue overall dress. Also, the scene where there is an image of the white marble palace by the lake is extremely breathtaking as you can see the reflection of the palace in the lake. “Thumbelina” is probably Rabbit Ears’ most beloved story and it will surely be an instant treat to children young and old. I would recommend this story to children ages three and older since it has nothing inappropriate for the children. 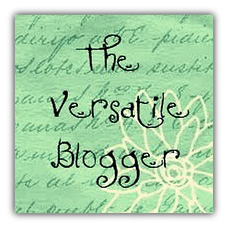 Rabbit Ears Productions is widely known for their celebrity narrated stories. The production also many stories that were highlights of the 1990s. 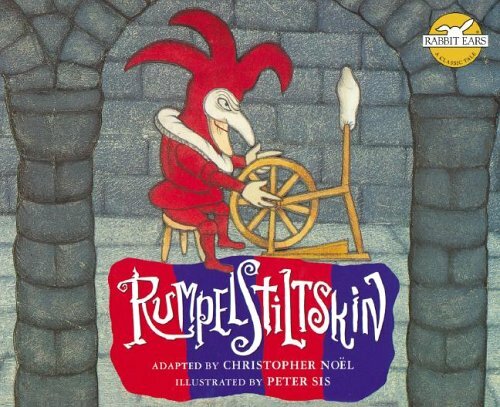 “Rumpelstiltskin” is a popular story from Rabbit Ears “We All Have Tales” series and is greatly enhanced by Kathleen Turner’s narration, Tangerine Dream’s haunting music and Peter Sis’s delicate drawings. Kathleen Turner’s narration is extremely brilliant as she uses a somewhat menacing voice foreshadowing Rumpelstiltskin’s ulterior motives. Also, Turner does an excellent job at being brilliantly scary towards the end of the story when Rumpelstiltskin meets his demise. Tangerine Dream’s haunting music provided the perfect mysterious atmosphere to the appearance of the little man to enacting Rumpelstiltskin’s frightening dance number when the queen searches for him. Peter Sis’s drawings are delicate yet haunting, especially of the image of Rumpelstiltskin pulling off his mask, revealing a skeleton face. Parents should know that younger viewers may be frightened by the theme of Rumpelstiltskin trying to take the child away from the queen. 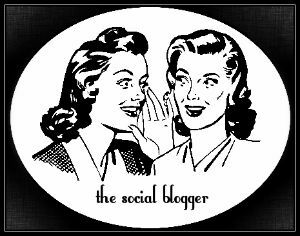 Since, many children are getting kidnapped in the world today; many young viewers may worry about being kidnapped by a little man. Also, since Rumpelstiltskin’s reasons for wanting the child is made unclear, children may fear that Rumpelstiltskin may hurt the baby boy. “Rumpelstiltskin” is another Rabbit Ears story that is mysterious and haunting, just like “The Fisherman and his Wife,” and is full of engaging music and images that create a wondrous world full of mystery and enchantment. This is a great film for the whole family watch, but parents must warn their children about the theme of child-kidnapping before letting them watch this video. 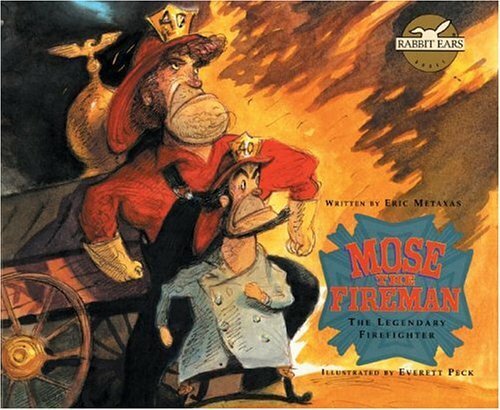 “Mose the Fireman” is a brilliant story from Rabbit Ears Productions about how New York’s greatest fireman, Moses “Mose” Humphrey single handily saves New York city from fires everywhere. 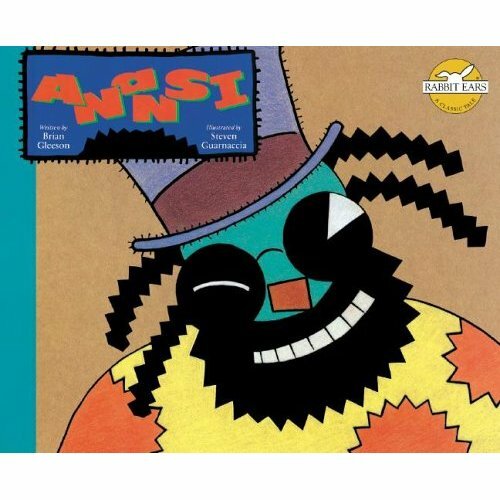 Michael Keaton’s New York accented narration along with Walter Becker and John Beasley’s jazzy music and Everett Peck’s scratchy yet hilarious illustrations make “Mose the Fireman” a worthy video for children to watch for many years. Moses Humphrey was born in 1809, the same year that Abraham Lincoln was born and one winter, there was an enormous fire in New York and it spread all over the city. While the firemen were putting out the fire, there was suddenly a huge explosion from one of the buildings as the top half of one of the buildings was blasted to pieces and the pieces of the top half of the building fell into the East River. The firemen thought that everyone who was trapped in the building was given up for dead until one of the fireman from engine number forty heard a cry in a busted hog head. When the firemen went to inspect the hog head, they found a small red-headed baby inside the hog head and the firemen of engine number forty decided to adopt the child and they named him Moses, but everyone called him Mose. Michael Keaton’s narration is brilliant and creative as he uses a New York accent to narrate the story, giving the story a spirited feel of the city of New York. Also, Michael Keaton sounds extremely rough yet smooth when he is narrating this story, making the characters, mainly Mose, somewhat tough guys while they save the town at the same time. Walter Becker and John Beasley’s music is jazzy and truly captures the spirit of New York. The music is also frenetic during the action scenes, making the scenes stand out very well as there is some tension added towards the music and yet the music is still jazzy enough to make people dance through the dramatic scenes rather than wait in anticipation about what is going to happen next in the scene. Everett Peck’s illustrations are scratchy yet hilarious at the same time, giving a rough feel to the story. 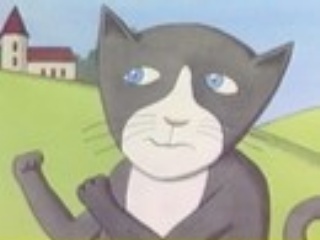 The illustration that is the true highlight of the story is the illustration of Mose himself as he has a squared chin and is extremely muscular and yet has a friendly smile on his face throughout the video, making him somewhat a tough character who loves to help people wherever he goes. 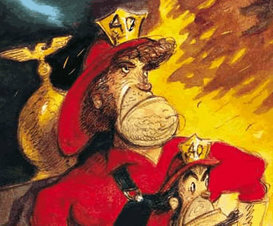 “Mose the Fireman” is a great story for children who love to read stories about the world of firefighting and who also love to read about various tall tales in America . I would recommend this book to children ages five and up since some of Michael Keaton’s narration might be a bit too hard for smaller children to understand. 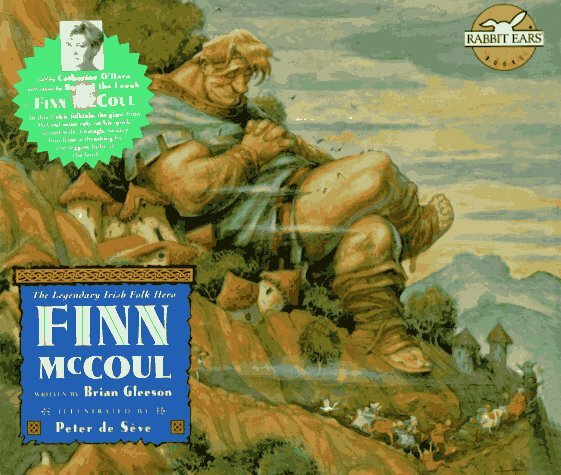 “Finn McCoul” is an Irish folktale from the creative company Rabbit Ears Productions and is about how Finn McCoul must face his nemesis Cuculin and only his wife, Una, knows how to handle the giant brute. “Finn McCoul” is a great tale about true cunning that many children will enjoy for many years. When Finn McCoul was born, he was no bigger than a fire-breathing dragon, which was too small for a giant. King Coul, Finn’s father, was so displeased at the size of his son that he throws Finn over the castle wall and into the water. Luckily, King Coul’s mother sees Finn in the water and she saves him from drowning and she decides to raise the boy herself in the woods. Many years later, Finn grows up into a man and he decided to leave his grandmother to become a great hero. Eventually, Finn finds a giant woman named Una who was extremely beautiful and they got married and lived on top of a mountain in a castle. However, the reason why Finn made his home on top of the mountain was because it was the only way to avoid Cuculin. 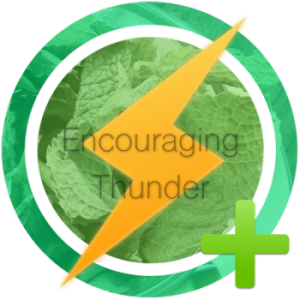 Cuculin was a fearsome giant who once flatten a thunderbolt into a pancake and he would always show it to his foes to remind them of the beating they are about to receive from him. Cuculin tried to find Finn McCoul, but Finn would always run away from him before battle. One day, Finn was helping his friends build the causeway from Ireland to Scotland when he started gnawing on his thumb. Whenever Finn starts gnawing on his thumb, he immediately sees the future and he found out that Cuculin was coming after him and he decided to go straight home to Una. When Finn got home, he told Una about Cuculin and she tells Finn that she needs time to think about how to deal with Cuculin. What is Una’s plan and can Finn defeat Cuculin? Watch the rest of this video to find out! Catherine O’Hara does a splendid job narrating this story especially as she uses an Irish accent so effectively to narrate this heroic Irish tale. Boys of the Lough’s music is beautiful and truly captures the true spirit of Irish music as the tunes are cheerful and old fashioned. Peter deSeve’s illustrations are beautiful and hilarious at the same time, especially during the scenes of Cuculin lifting up Finn’s house to make the wind move away from the house as he was instructed by Una to do so. 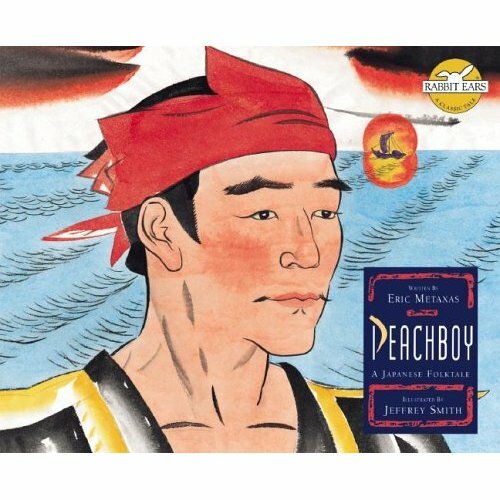 “Peachboy” is one of the classics from Rabbit Ears’ “We All Have Tales” series and is probably the most dramatic and heartwarming story out of the whole series since “East of the Sun West of the Moon.” With Sigourney Weaver’s tender narration, along with Ryuichi Sakamoto’s mesmerizing music and Jeffrey Smith’s beautiful illustrations, “Peachboy” is an instant classic that cannot be beat! Sigourney Weaver’s narration is so tender and soothing that she helps reinforce the intensity of this story, especially during the scenes of the emotional loss for the parents who lost their children to the ogres. Ryuichi Sakamoto’s music brilliantly captures the Japanese influence of the story making this story dramatic. Jeffrey Smith’s illustrations are beautiful as they brilliantly capture the essence of the Japanese characters. The image that probably stood out the most would be the image of Momotaro himself as he has a small and distinguished looking mustache and wears a traditional green Japanese outfit with a red belt that makes him look more heroic. Parents should know that the scene with the ogres might be a little scary to younger children. The ogres are drawn so realistically that smaller children will definitely be frightened and what will frighten children even more is the fact that these ogres had kidnapped many of the village’s children when they were young. This part of the story might scare young children as they will probably think that the ogres will kidnapped them at the middle of the night and parents should explain to their children that this is merely a fairy tale and that most of the creatures in this book (except the dog, pheasant and ape) are imaginary. “Peachboy” is a fantastic tale from Japan about the true power of friendship and courage and children will easily watch this video over and over again. I would recommend this video to children ages five and up since the scenes with the ogres might be too scary for smaller children. 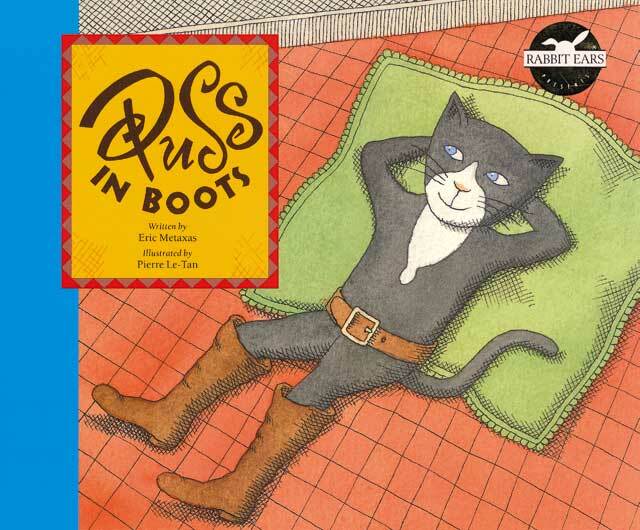 “Puss in Boots” is another classic story from Rabbit Ears Productions about how a clever feline tries to make his master a prince in order to save his own life. With Tracey Ullman’s hilarious narration, Jean Luc Ponty’s elegant music and Pierre Le-Tan’s beautiful illustrations, “Puss in Boots” will be an instant treat for children both young and old. Jean Luc Ponty’s music is extremely elegant and modern at the same time as he uses an electronic keyboard to capture the modern day feel to the story while at the same time, he brings an elegant sound to the score to emphasize the fairy tale element feel to the story. Pierre Le-Tan’s illustrations are beautiful as the images are extremely colorful and the characters in the story also look a bit hilarious since their heads are all the same oval shape, even Puss in Boots has the same shaped head as the human characters do. Parents should know that the narration in this story might be a bit too hard to follow, especially when Tracey Ullman uses a French accent in voicing the characters and she tends to jumble her words a bit when she is speaking in a French accent. Also, there is some advanced vocabulary in this video that younger children might not understand very well and parents should try to go over the words with their child so that way they would not be very confuse with the words.